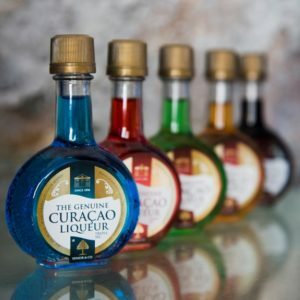 Not a single tourist leaves the Harbour View Art Gallery, let alone our island, without a nice bottle of the world-famous Blue Curacao Liqueur, produced in the local distillery, available at our shop. Free tasting available. 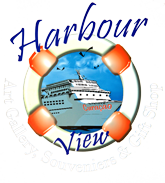 Get also the locally produced delicious creamy Ponche Caribe,and Ponche Pistacho, hot papaya sauce, pure vanilla extract, pure aloe gel, grounded coffee or spoil yourself with shell and hematite jewelry, t-shirts, towels, arts and crafts.